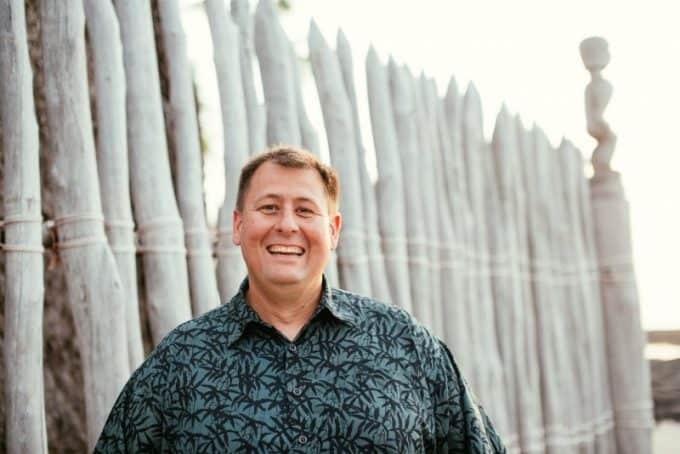 I love learning more about the history of our National Parks! How they were formed, why they became National Parks and who had an impact on creating them. 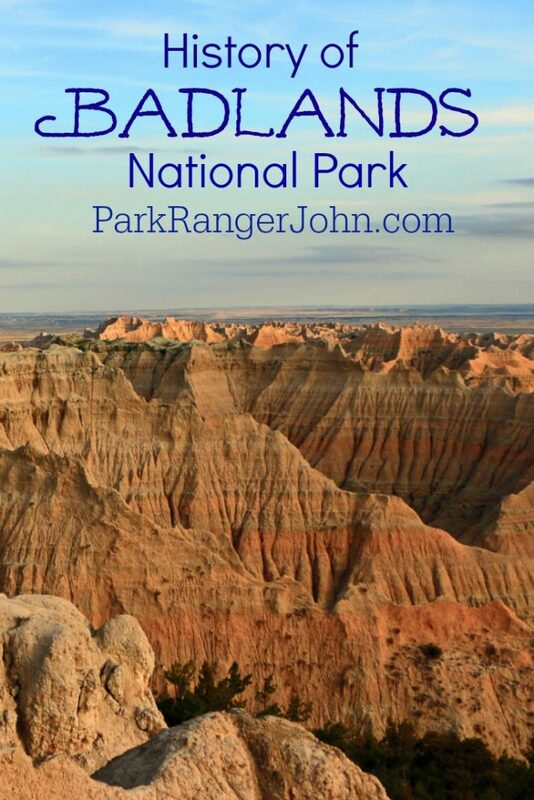 Today we are diving into the history of Badlands National Park. 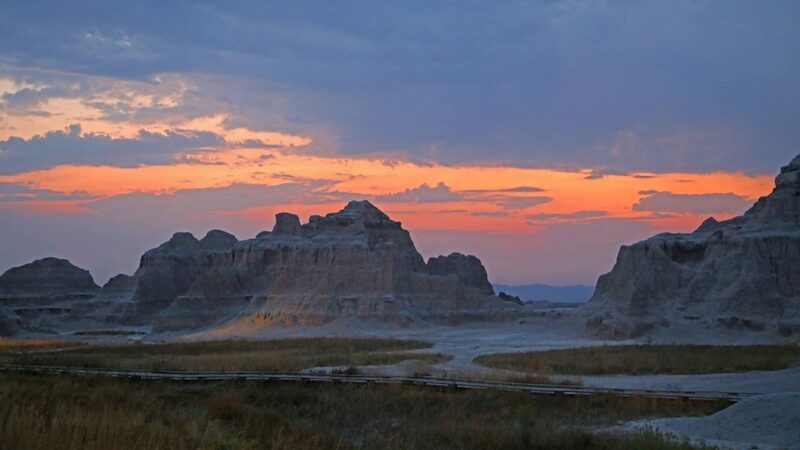 On November 10, 1978, a vast landscape in South Dakota – once feared by early travelers for its apparent inhospitable environment – was redesignated as one of the national parks of the United States. Aptly called “Badlands,” this expanse of desolate land was first authorized as a national monument on March 4, 1929, and was established as such almost ten years later, on January 25, 1939. 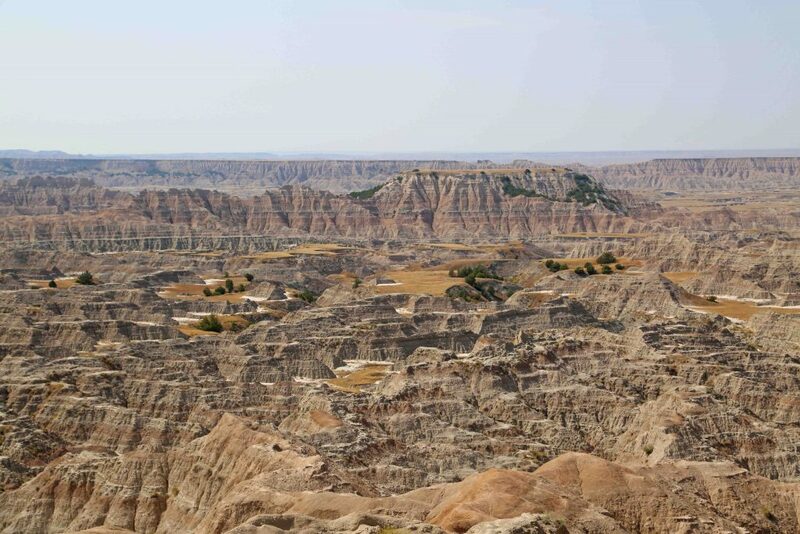 The extensive land area that is now the Badlands National Park started to take shape about 800 thousand centuries ago. It stretched over 15,500 square kilometers (6,000 square miles) between Six Grandfathers (now Mount Rushmore) in the west and the 3,767-kilometer (2,341-mile) Missouri River in the east. During that period, the area was a shallow body of water, with its bed teeming with sediments of all forms and types. About 150 thousand centuries later, the area’s seabed was disrupted and pushed upwards by a phenomenon called the Laramide orogeny, an upheaving of the Earth’s crust that resulted in the formation of the Rocky Mountains. This geologic occurrence turned the depthless sea into a vasty marshy expanse. As the area became less and less damp, it turned into an immense verdant, fertile grassland. This meadowy land, however, was (and still is) constantly hit by erosion. Gradually, the saw-toothed ridges, blade-edged hills and jagged ravines – all created by the violent forces of rushing water, gusty wind, and freezing temperatures – that earned for Badlands its unpleasant name started to unfold one by one. The whole region soon was transformed into a forbidding barren wilderness. Many different kinds of life-form existed in Badlands, and vanished, over several geologic periods. This was evident from the fossils that appeared from various surfaces of the area as a result of the unrelenting pressure of erosion. Examples are the fossil species of reptiles and fish from the Cretaceous period and of land animals from the Oligocene period. The former example is a clear indication that Badlands was once a vast sea. One of the most interesting stories about the place is the passing through the area of the present Badlands National Monument of Spotted Elk and his band of Sioux in 1890, on their way to Wounded Knee, where they fought with the 7th Cavalry Regiment led by Colonel James Forsyth in the infamous Wounded Knee Massacre. From 1963 to 1964, small numbers of bighorn sheep and bison were successfully introduced back into Badlands. The near-extinct pronghorns were similarly reintroduced into the area during this same period. These even-toed ungulates can now be seen roaming the area in great numbers. 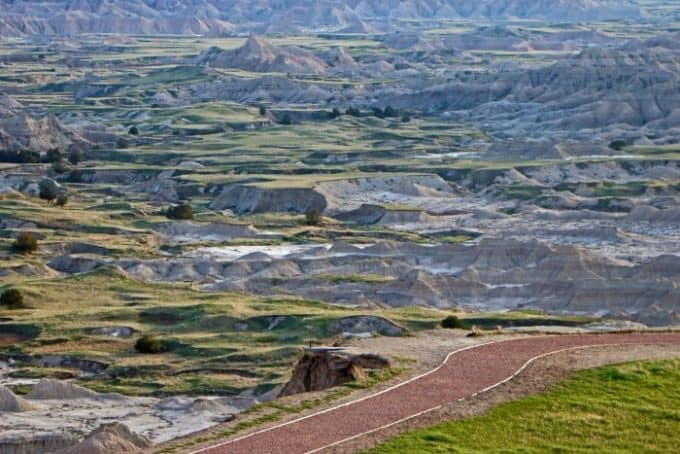 Badlands National Park today is a 98,740-hectare (244,000-acre) of preserved lands in South Dakota, which include the 25,958-hectare (64,144-acre) protected wilderness area.